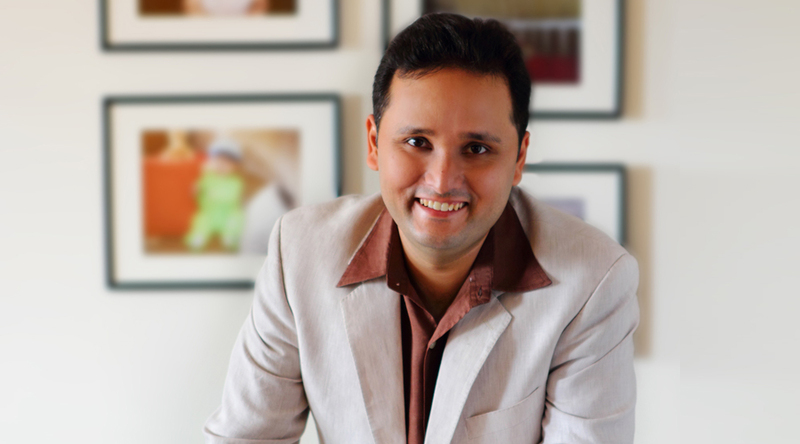 Reading Sita-Warrior of Mithila by Amish Tripathi provides a unique experience of the world of Ramayana. The author’s very rich reimagination takes the reader through an adventurous journey, breaking the medieval and colonial stereotypes built around the character of Sita. This is the second book of Amish’s Ram Chandra Series. His Shiva Trilogy is the fastest selling book series in Indian publishing history. The Immortals of Meluha (2010), The Secret of the Nagas (2011) and The Oath of the Vayuputras (2013), which collectively comprise the Shiva Trilogy, Scion of Ikshvaku (Book 1 of the Ram Chandra Series) (2015) and Sita-Warrior of Mithila (Book 2 of the Ram Chandra Series) (2017), have 4 million copies in print. He tells Saiswaroopa Iyer, author, Abhaya, about his experience of unearthing Sita from Valmiki’s mystical poetry, the Indic way of reforming, its mature and nuanced approach, and his upcoming book on Raavan. Congratulations on the spectacular launch of the second book of Ram Chandra Series. Devi Sita’s portrayal was soul-stirring and fulfilling. Tell us more about defying the popular tropes and stereotypes associated with Sita. Defying is too strong a word. I don’t think I am defying anything. I am only respectfully interpreting the story of Devi Sita. I have depended on the more ancient interpretations of the Ramayan, like the Adbhut Ramayan and the original Valmiki Ramayan. Of course, this has been mixed with my imagination, too. Sadly, many in the modern day have forgotten the ancient versions of the Ramayan, so, seeing Devi Sita as a strong woman and a warrior may appear new. Tell us about your journey of unearthing Devi Sita’s various glorious facets (which, I am tempted to say, are skilfully hidden in ancient poetry). Yes, there are many facets to Her in the ancient versions. In the Adbhut Ramayan, for example, there are two Raavans, and the elder, more powerful Raavan, is killed by Devi Sita Herself. In the Gond Ramayani, too, Devi Sita is a warrior. The strength of Devi Sita is not an aberration in our ancient stories. Women were shown in a positive and strong light. Our ancestors, by many accounts, believed in the equality of men and women. There was no need to be anti-women or even anti-men. It should not be forgotten that our ancient scriptures say that the Gods abandon the land where women are not respected. Maharishi Valmiki has left enough and more clues about Devi Sita’s valour, wisdom, strength and steadfastness. Why did this stereotype of a ‘demure’ Sita become more popular? It was not just with Devi Sita. You will notice that most interpretations of our stories written in the late medieval period, and the time post that, have shown women in a less powerful role. I think there is a reason for that. Most societies which suffer horrific violence tend to become patriarchal. Why does that happen? Women can compete with men in almost all areas of life, but they find it difficult to compete in the area of violence; the lack of testosterone and relatively smaller bodies make it difficult for them. From the late medieval age, India suffered horrific violence for many centuries. And perhaps, the society became patriarchal as a result. But we have been a relatively peaceful society for 70 years. There is no excuse now. We need to give up the patriarchal medieval interpretations and move back to the more equal and ancient interpretations. How do you view the typical action heroines in Western historical and fantasy genres in contrast to the Indic heroines, our warrior queens, Rishikas, poetesses or the male characters? How does that differentiate Indic storytelling from western storytelling? Actually, in the pagan past of the West and the Mediterranean world, there were many stories of strong women warriors, intellectuals and Goddesses. You will find many commonalities in the attitudes between ancient Indic and pagan Europe. The difference — Indic culture has survived till today, but pagan Europe was wiped out. I heard about your view that we can perfectly revere Devi Sita without demonising Sri Rama. Does the pop-feminist narrative undermine Sita herself by indulging in name-calling of Rama? I worship and respect Devi Sita. I am inspired by Her warrior form. At the same time, I respect and worship Shri Ram, too. And most true devotees feel the same way. Furthermore, I had written an article a few years ago speaking about Lord Ram and what we can learn from Him. In this, I also speak of the separation between Devi Sita and Shri Ram. It is impossible to discuss Ramayana without touching upon the separation of Sita and Rama. But, the tradition of Sri Rama worship has firmly stuck to worshipping them together. We can’t find a single temple of Sri Rama without Devi Sita being by his side. Has the Rama-bhakti tradition ‘rebelled’ against the separation much more effectively than the new age self-proclaimed ‘reformers’? Some modern reformers are, regrettably, driven more by hatred rather than wisdom. And unfortunately, Lord Ram is a specific target of hatred for some modern reformers and activists. I am a believer in the bhakti tradition, the path of love and devotion. But, I am even more of a believer in the gyan traditions of the Indic way. In our Indic way, nobody is supposed to judge another. We are supposed to look at our gods and goddesses, learn from them and do our karma. The Indic way is a more mature and nuanced approach. We should try to behave in a mature and nuanced way when approaching the stories of our gods and goddesses. One intriguing conversation in the book covers the ‘intellectual’ reluctance of citizens (of Mithila) in springing to action when their motherland needs them. The portrayal of Mithila seems like a wakeup call to societies that have been lulled into cosy intellectualism. Do you agree? Any imbalance is not good. Society, and individuals need balance in every aspect of life. Intellectuals are needed. But warriors, traders and skilled artisans are also needed. No group should have too much power or too little power; the society itself will suffer. One of the interesting aspects in the book is the cyclical nature of society degenerating, being reformed, stagnating in the new form, degenerating and being reformed, again and again. Ideals of today become evils of tomorrow. Do you see a possibility of achieving a society which targets timely prevention instead of waiting for cure? One of the wise things we have learnt from our ancestors is that the cycle of creation, sustenance and destruction is never-ending. It happens at every level, at the micro level within the body and at the macro level of the universe. Of course, it will happen at the level of a society as well. As long as the society is conscious and balanced, it can delay degeneration. But ultimately, a time will come when destruction will happen. To use a very well-known line: everything that has a beginning, has an end. The Internet is abuzz with the next book in the series, the one on Ravana. There are tales glorifying him as one of the greatest Shiva-bhaktas. Then, there are contrasting tales about his molesting Rambha, Punjikasthala and Vedavati. Somewhere, he is shown as a fearsome warrior who routed Indra and Kubera. But, he faced a series of defeats. What do you make out of the bundle of contradictions around him? I don’t think I should tell you too much about my interpretation of Raavan! I’d much rather that you wait for my book. Having said that, in most ancient versions of the Ramayan, there is a nuanced approach towards Raavan. His bad points are shown. And so are his good points. His biggest problem was his almighty ego. I don’t know if I have inspired anything. I am just a simple writer who is very proud of our heritage and culture, but I would love for more writers to explore our ancient knowledge and stories. I would suggest just a few things. Firstly, to be a good writer, you must first be a good reader. You must read at least 100 pages for every one page you write. Only then will your book be rich with details and philosophies. Secondly, I would always suggest that writers should write with the honesty of their heart. They should not bother about what others will think of their books when they are writing.